Designed specifically for use by Public Safety professionals — Police, Firefighters, EMTs, SWAT and more — the MV-PROTECTOR delivers a handsfree, simultaneous many-to-many wireless communication solution that can be deployed as a discrete field comms network or combined with existing P25 and/or Push-to-Talk (PTT) radio networks via MULTIVOICE’s MV-COMBINER technology. Both the MV-PROTECTOR and MV-COMBINER will be demonstrated for the first time this Monday and Tuesday at the APCO 2015 trade show in Washington, D.C. The primary advantage of the MV-PROTECTOR COMMAND model is that it guarantees its users will always have a Talk Slot available to them. The COMMAND model is also used by public safety professionals who need to communicate with multiple MV-PROTECTOR networks operating in the same location, such as a Battalion Chief directing multiple crews at a fire or a Commander coordinating efforts between multiple agencies responding to the same event. MV-PROTECTORs operate in the 900 MHz band (902—928MHz), utilize two rechargeable, internal 3000mAh Lithium-Polymer batteries, and deliver up to 18 hours of Talk Time between charges at ranges of up to one mile. The MV-PROTECTOR measures 5.3×3.3×1.3-inches, weighs 15.98 ounces, comes equipped with a 3.5-inch high antenna, and utilizes a patented and proprietary mixture of TDMA (Time Division Multiplexing Access), FDMA (Frequency Division Multiplex Access), and Frequency-Hopping Spread Spectrum technologies to deliver its Full-Multiplex capabilities. “MV-PROTECTOR takes communications in the public safety arena to a whole new level,” said MULTIVOICE CEO and President, Ron Fraser. “In many environments, Public Safety professionals need to use both hands to perform their jobs to be safe, effective and efficient — something that can be virtually impossible in many situations when they have to push-and-hold a button to talk. We eliminate those concerns with the Switch-to-Talk, Full-Multiplex “open mic” capabilities of our MV-PROTECTOR, something we suspect many Public Safety officials will find quite appealing — especially for intense situations.” At APCO 2015, MULTIVOICE will also publicly demonstrate the ability of its MV-COMBINER™ to seamlessly join MV-PROTECTOR networks to existing PTT, P25 and/or cellular networks. When needed, public safety professionals can utilize MV-COMBINERs to add Full-Multiplex, many-to-many communications capabilities to their P25 or PTT systems. The MV-PROTECTOR is available for testing and evaluation purposes immediately, with General Availability slated by December 31, 2015. For more information about the MV-PROTECTOR (or the MV-COMBINER), please visit www.MULTIVOICE.com or call 385-236-5111. Formed in 2011, MULTIVOICE is poised to transform the two-way wireless radio industry (and the Public Safety arena) with its Wireless Mesh-Network Intercoms — solutions that enable simultaneous and secure group communications among fearless individuals in rigorous environments. For more information please visit https://multivoice.com. MV-AUDIBLE systems support an unlimited number of coaches, with up to 17 coaches speaking simultaneously across 4 channels, with 18-hours of Talk Time and a range of up to 4000 feet (greater distances possible with upgrades). Designed with the Up-Tempo game in mind, MV-AUDIBLEs do not have Base Stations, so set-up takes seconds, making the MV-AUDIBLE ideal for both game and practice settings. 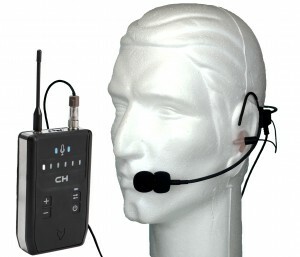 PROVO, Utah and HOUSTON, July 16, 2015 /PRNewswire/ – MULTIVOICE™ today announced the MV-AUDIBLE™ — the company’s newest Wireless Mesh-Network Intercom™ — a system that will be unveiled publicly next week at the Texas High School Coaches Association trade show in booth #5103. 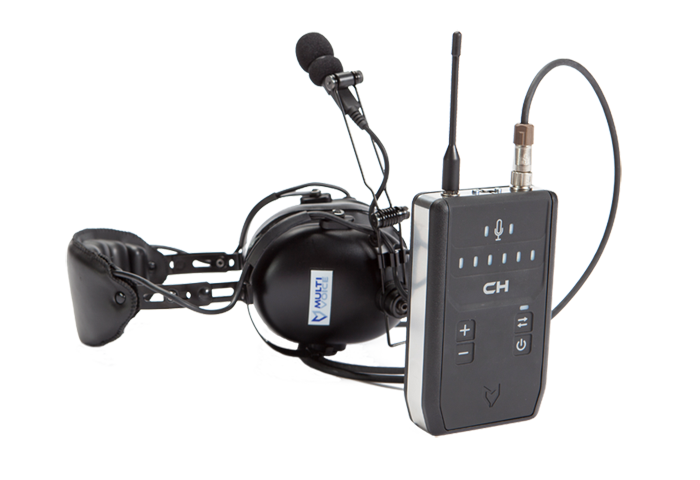 Each wireless MV-AUDIBLE Intercom comes paired with either a double- or a single-ear, heavy-duty headset, and each paired system arrives at each school pre-configured by MULTIVOICE specifically for the requirements of each team. MV-AUDIBLE allows up to 17 coaches to speak simultaneously, with an unlimited number of coaches on each system in Listen Mode. However, any coach can quickly switch into Speaking Mode by quickly lowering his boom microphone and entering an open Talk Slot. Teams can also designate certain MV-AUDIBLE units as Priority systems that will always be guaranteed a Talk Slot, such as those used by head coaches and/or offensive or defensive coordinators. Setting up an MV-AUDIBLE network is as simple as powering on the units, connecting headsets, and turning on the microphones. In other words, coaches can be up and operational with MV-AUDIBLE in literally seconds. And because there are no complicated or expensive Base Stations with MV-AUDIBLE, the MULTIVOICE comms system is ideal for use during practices, scrimmages, and games — whether at home or on the road. “We really have done our best to make the MV-AUDIBLE so simple that a coach could have a Fifth Grader run and manage the units,” Fraser said. “But not only that, MV-AUDIBLE has a range of up to 4000 feet (greater distances possible with upgrades) and delivers up to 18 hours of actual Talk Time. In other words, coaches can spread out all over ‘Kingdom Come’ with our MV-AUDIBLEs during sultry summer two-a-days and not worry about batteries failing or not being able to hear each other. And because we’ve based the MV-AUDIBLE off the same platform we’ve designed for Police, Fire and Military use, this means MV-AUDIBLEs can take a beating and keep on running no problem, regardless of temperature or weather conditions.” Based upon preliminary testing, MULTIVOICE anticipates that many teams will assign their coaches to specific channels on their MV-AUDIBLE networks, such as Offense on Channel 1 and Defense on Channel 2. This approach allows teams to minimize discipline cross-talk and confusion among coaches, while maximizing communications efficiency. This approach also allows the head coach to simply switch from Offense to Defense as needed, while also providing two additional Channels for private conversations among coaches or between a player and a coach. MV-AUDIBLE Intercom enclosures measure 5.3×3.3×1.3-inches and are made from a hardened Polycarbonate-ABS black plastic blend, with each unit weighing 15.98 ounces, that is powered by two internal 3000mAh Lithium-Polymer batteries, supported with a 3.5-inch-high flexible antenna. The MV-AUDIBLE operates in the 900MHz band (specifically, 902—928MHz) and utilizes a patented mixture of TDMA (Time Division Multiplex Access), FDMA (Frequency Division Multiplex Access), 30-millisecond Frequency-Hopping Spread Spectrum, and proprietary communication protocols to automatically maintain connectivity within each MV-AUDIBLE “wireless mesh-network” while preventing eavesdropping and jamming. The MV-AUDIBLE is priced at $1,500.00 per unit (which includes either one single- or one double-ear heavy-duty headset), with an introductory rebate of $250.00 per unit from MULTIVOICE. MV-AUDIBLE Intercoms are available through MULTIVOICE’s dealer network, including Sideline Power, which is a Silver Sponsor of THSCA 2015 and is exhibiting at the trade show in Booth #10085. Additionally, MULTIVOICE will give away five (5) pairs of MV-AUDIBLE Intercoms at THSCA 2015, one pair each to five lucky schools. This giveaway is limited to high school coaches and athletic directors, but participants do not have to be present at the THSCA 2015 tradeshow/convention to win. Click here to enter the MULTIVOICE THSCA 2015 Giveaway and to learn more about the giveaway. Formed in 2011, MULTIVOICE is poised to transform the two-way wireless radio industry (and the football coaching market) with its Wireless Mesh-Network Intercoms — solutions that enable simultaneous and secure group communications among fearless individuals in rigorous environments. For more information please visit https://multivoice.com. MULTIVOICE, the MULTIVOICE marks and logos, MV-AUDIBLE, Wireless Mesh-Network Intercom, and Wireless Coaching Intercom are each trademarks of MULTIVOICE. All other trademarks are properties of their own respective owners. RAPIER AND MULTIVOICE BACKGROUND Rapier was first introduced to Fraser in 2007 through their mutual hobby of refereeing high school basketball. It was their kindred love for sports, the outdoors and entrepreneurship that kindled a bond that grew into a deep friendship. So when Fraser needed advice for his latest endeavor in advanced radio technology, he looked to someone he could trust — Todd Rapier. Rapier started consulting for MULTIVOICE in the summer of 2014. By the fall of that same year it was clear to Fraser that Rapier had the vision and experience needed to fill the role as President and Co-Founder. With Rapier as President, MULTIVOICE was rapidly transformed as it moved from a company driven by research and development to a company driven by a focus on customer needs. He worked tirelessly to ensure the company’s well being and believed that relationships made the world go ’round — that money only came after people. He also emphasized that customer service was the most effective sales vehicle, and he knew that his success was primarily dependent on his ability to help others. This belief was something that he showed through his actions on a daily basis at MULTIVOICE. 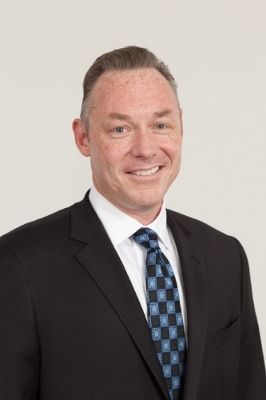 Prior to joining MULTIVOICE, Rapier was the executive vice president of worldwide sales of MultiLing, an intellectual property translation company, where he drove the company from flat sales to a 30 percent growth rate. During the previous 15 years, he provided similar results for a variety of companies in electrical power solutions (Simplure Power), paper-based digital automation (Velosum and Lucion LLC) and corporate legal research (LexisNexis). Previously, Rapier attended Brigham Young University where he studied history. Rapier is survived by his wife, Mandy, and her three children; three children from a previous marriage; his parents; and three siblings. A viewing will be held on Friday, July 10 from 9 to10:45 a.m. followed by a funeral service from 11 a.m. to 12 p.m., with both events held at the LDS Chapel located at 56 East 600 North in Lindon, Utah. Formed in 2011, MULTIVOICE is poised to transform the two-way wireless radio industry with its Wireless Mesh-Network Intercoms — solutions that enable simultaneous and secure group communications among fearless individuals in rigorous environments. For more information please visit https://multivoice.com. MULTIVOICE, Wireless Mesh-Network Intercom, and the MULTIVOICE marks and logos, are each trademarks of MULTIVOICE. All other trademarks are properties of their own respective owners.